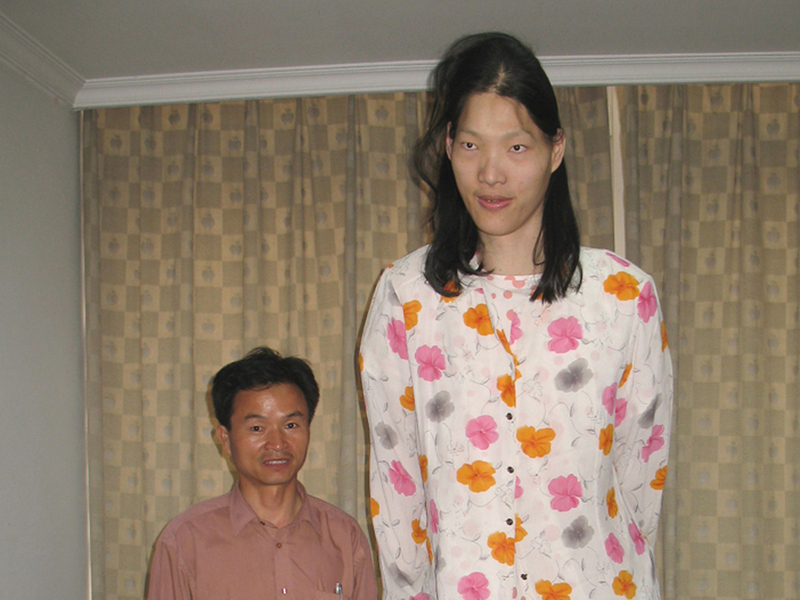 BEIJING The world's tallest woman has died in eastern China. She was 39. Chinese state media say Yao Defen died on Nov. 13 at her home in China's eastern province of Anhui. Guinness World Records in January 2010 had certified her as the world's tallest living woman at 7 feet and 7 inches. The local Xin'an Evening News did not give the cause of death but said in a report that Yao suffered from gigantism, with a tumor on her pituitary gland disrupting her levels of growth hormone. A government official in her county who gave only his surname, Liu, confirmed Yao's death on Wednesday. The Xin'an newspaper said Yao learned to play basketball when young, and that she was 6 feet and 7 inches tall by the age of 15. In a Chinese-language video from three years ago, Yao expressed anguish at her unusual height. "I am very unhappy. Why am I this tall?" she said from her bed. "If I were not this tall, others would not look at me like this."